Doug Seserman, who for 15 years has been president and CEO of JEWISHcolorado, will become CEO of American Associates, Ben-Gurion University of the Negev (AABGU). The national organization is based in Manhattan and has nine regional offices around the country. Seserman will assume his new position in October, 2017. He replaces Doron Krakow, who left this position in March to become president and CEO of the JCC Association of North America. AABGU President Toni Young says: “Doug is a creative, passionate Jewish community leader, an award-winning private sector marketing executive, an out-of-the-box thinker, an avid Zionist and a mensch. 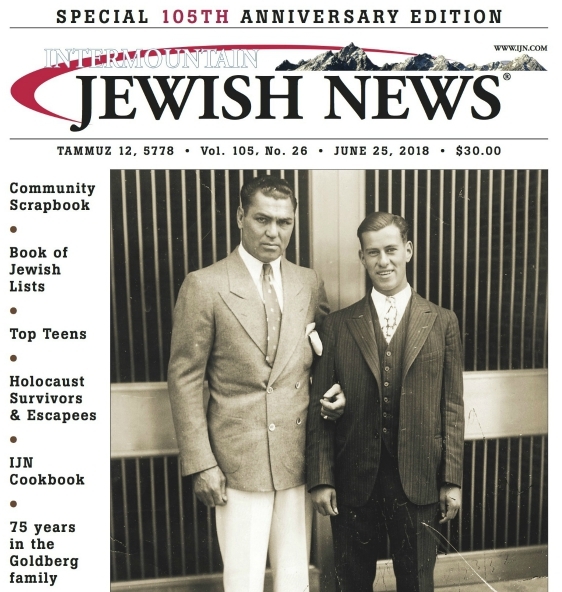 Seserman previously announced that he would step down from JEWISHcolorado on July 1, 2020. Seserman is known for his business vision. Last month he received national recognition by the American Business Awards, winning the 2017 Gold Stevie Nonprofit Executive of the Year award. In 2014, he was named to the “Forward 50” as one of the 50 most impactful American Jews for his success and accomplishments reimagining federation for the 21st century. He orchestrated the merger of the Allied Jewish Federation and Jewish Community Foundation of Colorado, and launched the JEWISHcolorado brand to broaden the appeal and relevance for the next generation of donors. Seserman achieved record fundraising at the Colorado federation. During his tenure, he raised more than $200 million and almost tripled the organization’s endowment and planned giving assets. He also worked to create strong bipartisan support in the state legislature, paving the way for Colorado as the fourth state to sign an anti-BDS law in 2016. The new law prohibits Colorado’s largest state pension fund from investing in companies that boycott, divest or sanction (BDS) Israel. “I’m honored by the opportunity to become the professional leader of AABGU. “I’m also humbled by the responsibility to sustain David Ben-Gurion’s dream to develop the Negev. In my opinion, Ben-Gurion University is one of the most vital institutions to Israel’s future,” says Seserman. Seserman’s strengths in leadership, marketing and branding are the culmination of a career in telecommunications and consumer products marketing, prior to entering the Jewish nonprofit arena. As senior vice president, marketing and sales at AT&T Broadband, he oversaw marketing for AT&T’s $10 billion portfolio of cable television, high-speed internet access and cable telephone product offerings. Prior to that, at TCI, he launched the country’s first digital cable television product, TCI Digital Cable, before the company was acquired by AT&T. From 1986 to 1996, Seserman served in executive positions at the Quaker Oats Company in Europe and in the US, advancing from his first job as marketing assistant in the pet foods division to European brand equity director in a decade. Among his volunteer activities, he was a member of the Jewish Agency for Israel board of governors, 2005-2016, and currently serves on the executive committee of Jewish Federations of North America as chair of the large intermediate federation city size group. Seserman received an MBA from J.L. Kellogg Graduate School of Management, Northwestern University, in 1986, and a BS in communication studies in 1985 from Northwestern. He lives in Denver with his wife, Sue, and will be relocating to New York. They have twin young adult daughters. Seserman is an outdoor sports enthusiast, particularly enjoying skiing and cycling.